With the brand new Buschbeck Pizza Oven you now don't have to go to the local Italian restaurant to get an authentic tasting pizza! 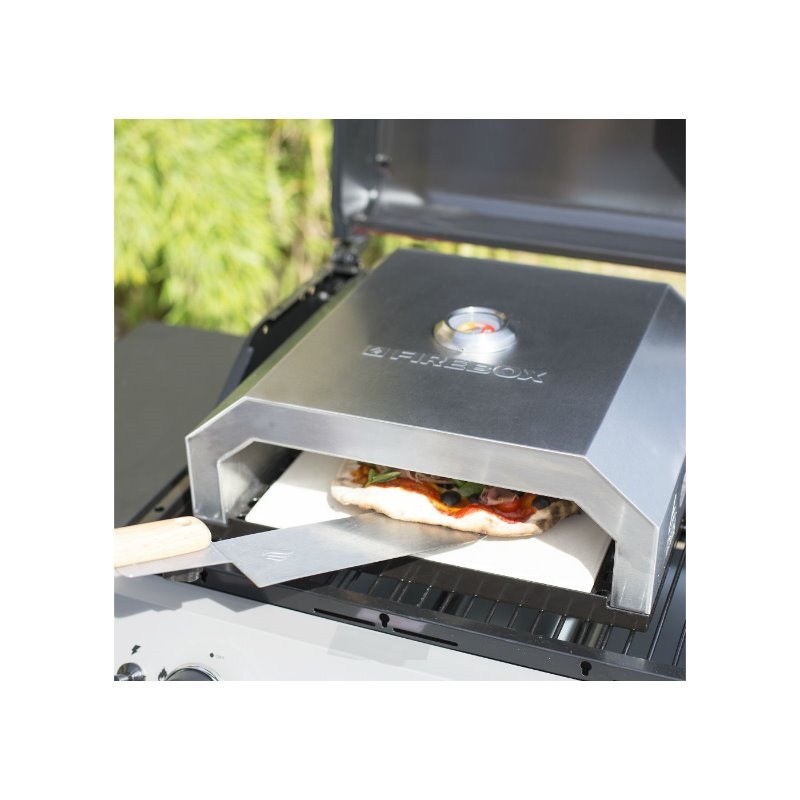 The Buschbeck Pizza Oven is manufactured from a combination of tough enamelled steel and stainless steel and features a high performance ceramic bakerstone. 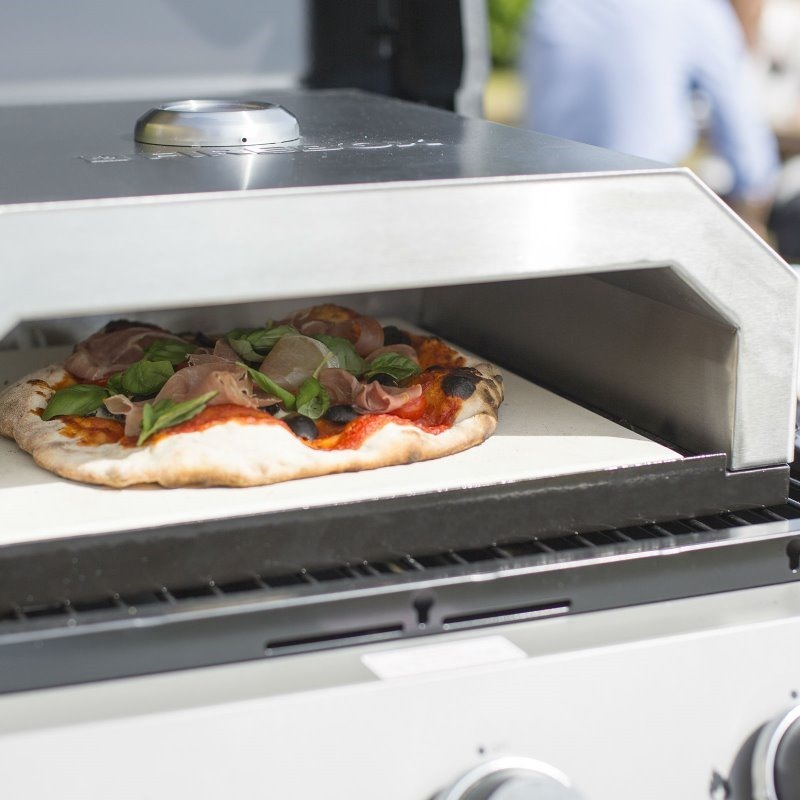 Insert the pizza oven into your Buschbeck barbecue whenever you want to bake pizzas, bread or even cakes. This authentically artisan-styled oven is really that good! Ensure the oven and the ceramic bakerstone is up to temperature using either the Buschbeck gas insert or over a traditional wood or charcoal fire and then get baking! 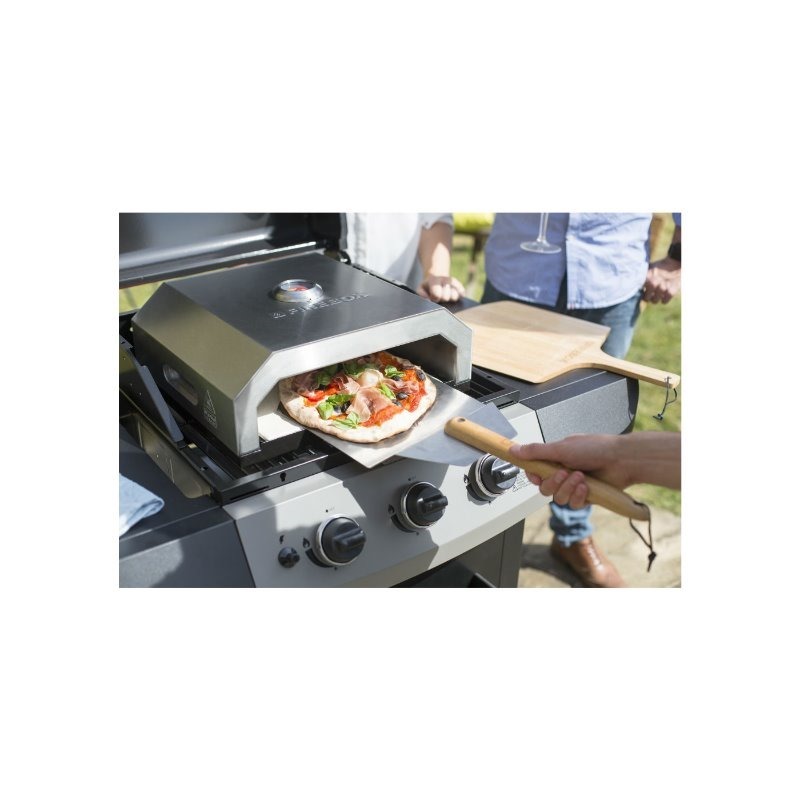 The ceramic bakerstone will give your pizza bases, bread and cakes with that very authentic traditional oven baked taste and texture which will amaze your friends and family.